Previously, the developer agreement stated that it would ban apps that used the Alexa app home cards for ads – the cards that appear in the Alexa companion app – that can describe the skill in question or enhance the voice interaction with details provided as text-based content. Now the agreement simply bans skills that contain “any advertising for third-party products or services,” according to the updated documentation. Amazon carves out an exception for streaming music, radio and flash briefing apps (news briefings) where advertisements are not the core functionality of the skill. But other than that, ads are now largely banned on the Alexa platform. The change has irked some Alexa developers who already feel that it’s too difficult to make money from their Alexa skills, as is. Others, however, are confident that Amazon will eventually introduce its own monetization platform – perhaps through in-app purchases, paid skills, or ways to leverage Amazon Pay (its payments platform) in their skills. 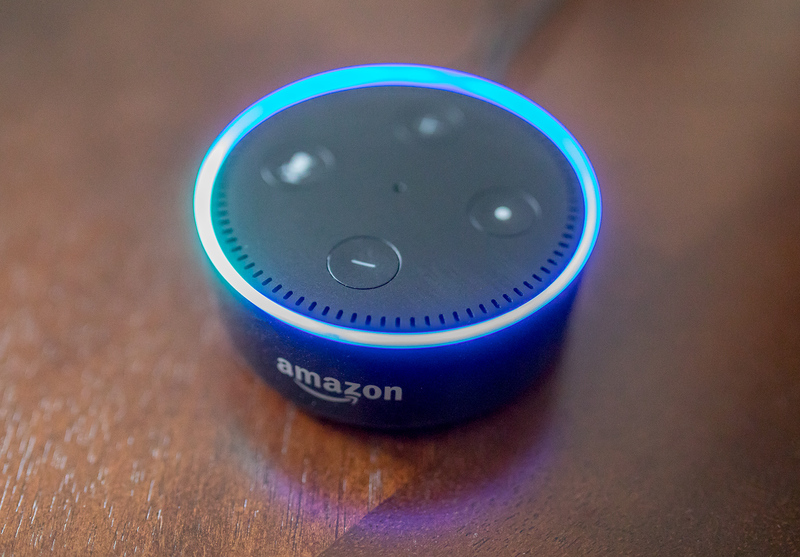 While Amazon is following an ambitious path toward making its voice computing technology powerful and ubiquitous – including by opening access to Echo speaker technology, Alexa’s voice technology, and the underlying technologies that power Alexa’s abilities to understand language – it has yet to fully address the needs of developers who want to build their own app businesses on top of its voice computing platform. In fact, this problem is so often discussed that there’s an inside joke in an active Slack community for Alexa developers that involves the posting of a snow cone emoji. The joke is that it’s easier to make more money selling snow cones than building Alexa skills. The emoji is posted in response complaints, including, most recently, the change to Amazon’s Alexa Developer agreement. According to posters in this community, the agreement was updated on Tuesday. We’ve asked Amazon to confirm, but the company declined to comment. There was initially some speculation that the change was made in response to technology being developed by VoiceLabs, which has been testing an advertising platform aimed at Alexa Skill developers involving “Sponsored Messages,” as referenced here in a blog post. These will allow developers to insert brief ads, similar to those in podcasts, but which are interactive. VoiceLabs’ system allows partner advertisers to connect with consumers who use Alexa’s voice-powered apps. But because any one Skill wouldn’t have enough users to capture that ad spend, VoiceLabs’ system instead combines users across Skills. This aggregated audience is then sizable enough to gain advertisers’ attention and interest. But VoiceLabs’ co-founder and CEO Adam Marchick disputes the idea it’s his system that’s at all related to the policy change. He says that Amazon has known about Sponsored Messages since January, and has been collaborating with VoiceLabs on its development. In addition, of the 1,300 developers on VoiceLabs’ platform, many of those planning to use Sponsored Messages are creating flash briefings, which are not affected by the new policy. However, he did caution that advertising has to be carefully considered as adoption grows. “They have a huge hit on their hands, and they want to be considerate of the consumer. To date, we’ve seen some of the advertising, and it’s not been considerate,” he says. The change does come at a time when consumers are increasingly sensitive to unwelcome voice ads invading their connected speakers. Google Home came under fire when its speaker began playing ads for Disney’s “Beauty and The Beast” movie. Google denied this was an ad, claiming that it was an experiment in having Google Home’s Assistant surface other unique content. This month, Burger King hijacked Google Home speakers by creating an ad that would trigger the devices to read its Wikipedia entry for the Whopper, which it had conveniently edited beforehand to sound like marketing copy. Google quickly blocked the trigger, but not before the restaurant chain gained a lot of free press and consumer backlash. Those examples are the same sort of advertisements that Amazon’s policy change are meant to head off, necessarily. But it does allow the company to summarily reject apps that are designed to use advertising in unwelcome ways – those that would ultimately annoy Alexa’s users, and decrease interest in voice computing in general. It’s unclear to what extent Amazon will be enforcing this policy, however. One developer, Joseph Jaquinta, who has been critical of Amazon’s policies, admits he’s openly violating the old ad policy in his skills. Both StarLanes and KnockKnock place ads in the home card – the former lets users play an ad for a bonus in the game, and the latter will simply read an ad to you and put it in your home card at some point. Enforcing ad policy is just one aspect of how Amazon isn’t tracking skills’ behavior. Developers also said you can update a skill’s content after it’s live and Amazon doesn’t notice the changes. This could end up being a workaround for the ad policy restrictions, for those developers who insist on breaking the advertising ban.